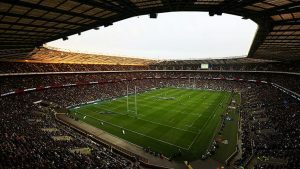 Peter Howard our RFU Council member will once again be hosting his ‘Bar in the Car’ for the Autumn Internationals at Twickenham. Peter will be in the Cardinal Vaughan car park, just over the footbridge from the West Car Park Fan Village, from 12:30pm ti:l 230pm on all match days except the NZ match. Look out for the LRU flag!